← Hunter Story Creators website launched! My two-year-old certainly knows what he likes. I fish the last green battery out of the jar, then discover that his toy car needs two batteries. I drive to seven different shops looking for green batteries. They only have packs of 100 left. At least I know he’ll be happy for a very long time. ‘I don’t like green anymore, Mummy. I like red now. “Of course he does” – such a perfect summing up of the senseless, changeable nature of young children. “Of course” are two words that help me get through every day with my (currently 16mo) daughter – I really felt the narrator’s pain in this story! No doubt every parent in this group will relate to your story. I could feel her frustration in the last line. Thanks so much for your comment Rochelle. And very exciting about you getting on TV!! Good luck!! I chuckled reading your story. Many parents could relate their own green story! Ha.. there is a point when you just say no… it’s green or nothing sweetie…:-) but we always let ourselves be led by those little minds don’t we? It’s both absolutely wonderful and absolutely frustrating all at the same time. Yep, that’s the fickleness of a child. Cute story! Of course he does….so frustratingly sweet…or maybe sweetly frustrating? But what can you do…I enjoyed your story! Thanks for stopping by to read and for the lovely comments! Chuckle! Of course he likes red. She should have known that! LOL! Nice story! Oh yes! How that made me smile, Jessie. Thank you Sandra! Glad it had that effect. ‘Almost’ makes me glad that my children and grandchildren have grown up. Reminds me of when mine were young, they never wanted anything they needed it! Thank you Carolyn. I’m right in the midst of it now, so seeing those batteries it was all I could think of. Thanks Dawn, glad I could make you laugh. The words of every mother echoed in a single line. Haha of course he does. 😂 thanks for the giggle. Thank you for reading and glad I could make you laugh! I can totally relate to your story, Jessie, but I can’t help loving the notion of a young child exploring the world and what they find special at an given moment! You’ve captured the whims of a 2 year old beautifully. Thanks Di for your lovely comment! Sounds about par for the course for a 2 year old. Personally, I would have attempted to change the subject as they tend to be easily distracted to make him forget about what color batteries I was using before I drove to seven different shops. It probably wouldn’t have been as interesting either. A fickle little one isn’t he? Thank you Siobhan, glad you thought so! Oooh you’re such a thinker!! That is both charming and adorable, and perfectly sums up the fleeting nature of childhood’s obsessions (plus the frustration they probably engender in patient adults). Hahahahaha! Of course he does. Priceless. Kids and their notions — unbelievable. Great story, Jessie! Thanks so much for the lovely comment!! Boy, you hit the thumb on the nail with that one, Jessie. It’s amazing how quickly something can go from critical to useless in their eyes. 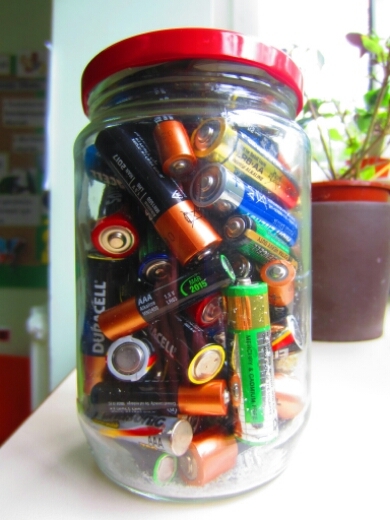 Wouldn’t you just know it- only one green battery in the jar! Green has an odd effect on kids when it’s on their dinner plate, too. Strange. I echo everyone’s praise, Jessie. A lovely picture of the capriciousness of a two year old. Thank you Margaret! And you’re so right about the green on the plate too! Cute story! If only my kids were still that age …. They’re ever so frustrating and ever so adorable at this age!